The casual transitional style of the Tia Chest brings warmth and comfort into your bedroom. 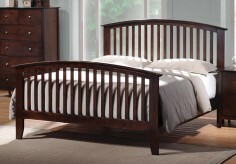 This collection features clean lines with gentle curves and tapered feet. 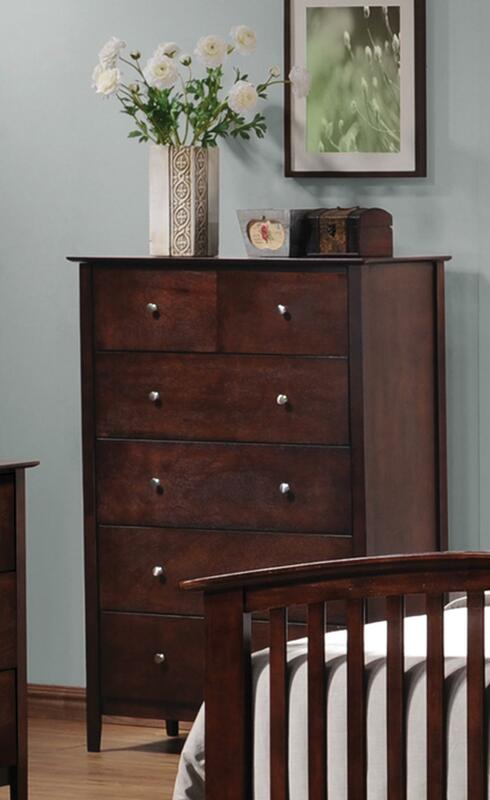 Each piece is crafted from select hardwoods and veneers, brushed nickel metal hardware gives a modern look to each case piece, spacious drawers make these pieces functional as well and finished in warm cappuccino. 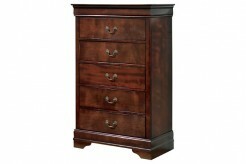 Furniture Nation is proud to offer the Tia Chest online. We serve customers across the DFW region including Grand Prairie, Southlake, Carrollton and many more. L33" x D17.5" x H46"